Spices play an important role in making a dish more flavorful. Indian cuisine is especially known to have some of the healthiest traditional spices as its main ingredients. Cumin is one such spice that forms an integral part of various dishes in the Indian cuisine. Cumin or ‘Jeera’ in Hindi, ‘Jilakara‘ in Telugu, ‘Jeeragam‘ in Tamil, ‘Jeerakam‘ in Malayalam, ‘Jeerige‘ in Kannada, ‘Jeeru‘ in Gujarati, ‘Jeere‘ in Marathi and ‘Jeerey‘ in Bengali is basically a tiny seed of an annual plant in the parsley family, native to the Mediterranean (1). A typical cumin seed has a striped pattern of nine ridges and oil canals. It is brownish in colour and oblong shaped, tapering at each extremity with tiny stalks attached. Cumin seeds resemble caraway seeds in appearance. However, they are lighter in colour, hotter to taste, larger in size and unlike caraway, have minute bristles that are hardly visible to the naked eye. 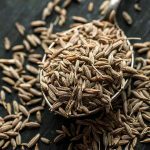 Cumin Seeds – The Delightful Spice! The warm and bitter flavor of this aromatic spice as well as its abundant oil content make it usable in Indian, Mexican, North African, Middle Eastern and western Chinese cuisines. In India, cumin seeds are an important component of curry powder and “garam masala”. They are generally fried or roasted before usage. Cumin seeds are generally available dried or ground to a brownish-green powder. Cumin seeds are generally available in three colours- amber, white and black. The amber seeds are the most common. The black ones have a complex flavor and cannot be substituted for the other two. Black cumin seeds or nigella are different from cumin seeds though both are similar in appearance. Known as “kalonji” in northern India and ‘kaalo jeere’ in Bengal, they have a pungent, powerful, sharp and slightly bitter flavor and a spicy-sweet aroma. They have a thin crescent shape. As stated earlier, this aromatic spice is renowned for its medicinal value and health benefits. Hence, it can be beneficial to your skin as well. Some of the cumin or jeera benefits in skincare are as follows. Boils are outlet for the elimination of toxic substances and foreign matters such as microbes etc. Occurrence of boils indicates the accumulation of toxic substances in the body. Regular usage of cumin in your food helps in keeping your skin free from boils, rashes, pimples etc. This is because it has components such as Cuminaldehyde (2), Thymol and phosphorus which are good detoxifying agents. They help in facilitating regular removal of toxins from the body through the excretory system and not through boils. 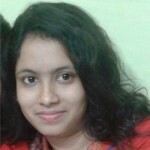 If you are suffering from acne or boils, you can try applying vinegar with ground cumin seeds. 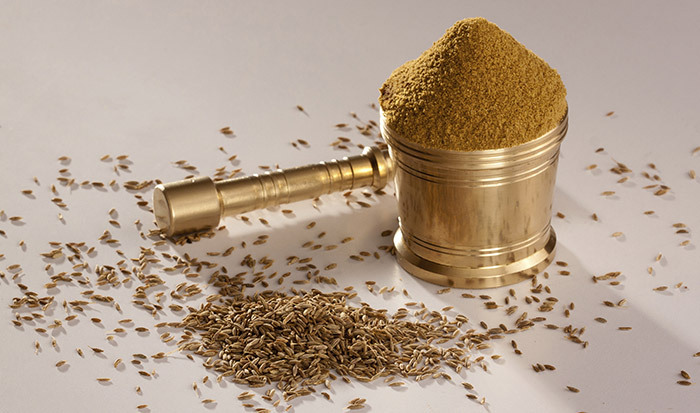 Cumin has a high content of vitamin E which keeps your skin healthy and glowing. Besides, the essential oils, cumin have disinfectant and anti-fungal properties which protect your skin from fungal and microbial infections. Topical application of cumin paste on boils, pimples, eczema, psoriasis and other skin disorders facilitates quick healing (3). A dash of ground cumin powder can also be added to your face pack to treat skin issues. Cumin is also a good source of dietary fiber which helps in the cleaning process and removes toxins. Vitamin E present in cumin triggers the anti-ageing processes within the body, thus preventing pre mature ageing symptoms. It acts as an antioxidant to combat the free radicals that attack the skin and cause signs of ageing like wrinkles, age spots and sagging skin. This combination of antioxidant effect and antibacterial capacity of cumin provides you with a healthy, beautiful skin that lasts far into your old age (4). If you are suffering from body heat and skin itchiness, you can put some cumin seeds in boiled water. Once it is cooled, take a bath with that water (5). Drinking cumin water can relieve the burning sensation of the palms and the soles (6). All you need to do is add one teaspoon of cumin seeds to 4 litres of water and boil. Remove it from the heat and keep it covered. You can drink this water whenever you feel thirsty as well as after your meals. It is advisable to drink it warm in order to reap greater benefits. You can prepare a face pack by mixing finely ground turmeric and cumin in the ratio 3: 1. In order to prepare a peel off face mask, you can use honey instead of water to mix both the ingredients. Apply this on your face and wait till it dries up. This will make your skin smooth and glowing. Honey can soothe the inflamed tissue and prevents the spices from becoming too dry. If you have sunburns or acne prone or blotchy skin, you can mix plain organic yoghurt with the spices. Apply some jojoba oil after washing off your face. Nigella sativa or black cumin is known to combat thinning of hair, baldness and falling hair (7). You can mix equal quantities of black cumin oil and olive oil. After a bath, apply this on your hair or on the bald portion of your head. This will promote hair growth as well as treat hair loss. You can also consume black cumin oil in the form of capsules for a few months. Black cumin seeds can provide you with those long and lustrous tresses. For this purpose, boil 1.5 tablespoons of black cumin seeds in ¾ cup of water for 10 minutes. When the mixture cools down, use a strainer to separate the seeds from the water. Add a raw egg yolk to the black cumin water and mix well to get a homogeneous creamy solution. If you want, you can add a teaspoon of extra virgin olive oil to the mixture. Massage it on your scalp and allow it to stay for 30 minutes to an hour. This should be done every week or every alternate week for best results. Oil extract from cumin is a great stimulant, carminative, antioxidant and diuretic. It is often used for massage in aromatherapy and scalp treatments to get rid of dandruff (8). Cumin helps to lower blood sugar levels and thus helps in maintaining proper blood content levels in the body. This is a great boon for people suffering from Diabetes (9). Cumin seeds are very rich in iron, which makes it an essential natural health ingredient. This iron content helps to treat anaemia, makes blood rich in haemoglobin content and also helps in acting as a carrier of oxygen to the cells in the body (10). Cumin seeds contain Thymoquinone, which reduces inflammatory processes and other mediators that cause asthma. They also act as a bronchodilator (11). This is achieved by its anti-oxidant characteristics that fight against impurities and free radicals (12). This helps in making the body’s immunity better in combating diseases. Cumin seeds are rich in iron which is necessary for the formation of haemoglobin in the blood. This in turn is required for the transportation of oxygen in the body. Consuming cumin seeds will keep one protected from anaemia (13). Cumin is healthy for women of all age groups and is known to influence a healthy menstrual cycle (14). Cumin is helpful in treating colon and breast cancer. The seeds contain thymoquinone, dithymoquinone, thymohydroquinone and thymol which are anti-carcinogenic agents (15). Cumin is rich in Vitamin C and has anti-fungal properties. These help to cure cold and other respiratory problems. Cumin seeds are also suggested for kidney health (16). Good metabolism process helps to keep all the other body processes in check. Iron present in cumin helps to properly maintain our metabolic activity (17). Enzymes present in cumin help to breakdown foods and thus aid in digestion (18). This spice is widely available in supermarkets, local spice stores and ethnic markets in both whole and ground form. 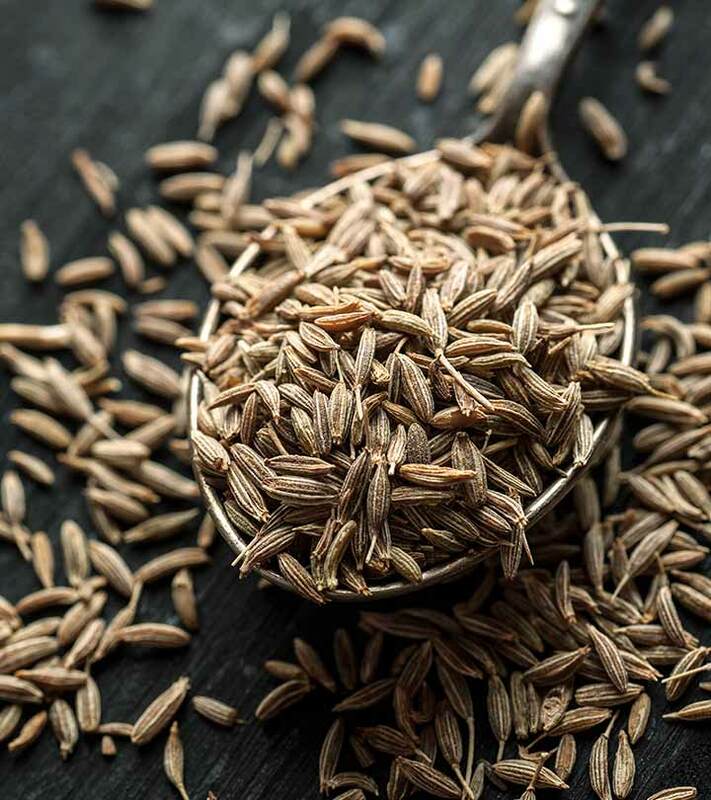 When buying cumin, always prefer whole seeds rather than cumin powder as the latter loses its flavour more quickly and may contain adulterated inferior quality spice mixtures. If you need it in powdered form, these seeds can be ground at home with a mortar and pestle. Like other dried spices, always select organically grown dried cumin seeds as they are less likely to be irradiated. They should release pleasant yet peppery flavour when squeezed between index finger and thumb which indicates that they are of superior quality. The seeds should not be broken and should be in well packaged conditions. It is advisable to buy spices like cumin from local stores or ethnic markets in your area as they feature an expansive collection of dried herbs and spices that are of superior quality and freshness in comparison to those available in regular markets. Cumin seeds and cumin powder should be stored in a tightly sealed glass container in a cool, dark and dry place. It can be stored for months and the seeds can be milled using a hand mill as and when required. Ground and powdered cumin can be stored in the refrigerator in an air sealed container. It is advisable to use ground cumin as early as possible since it loses its flavour quickly. Whole cumin seeds can stay fresh up to a year whereas cumin powder has a shelf life of 6 months. Cumin is an important ingredient in Indian kitchen. Both ground and whole cumin seeds are used to season a variety of recipes such as curries, soups and stews. Since they might have a raw and unpleasant flavour, whole cumin seeds should be lightly roasted before adding them to any recipe to obtain their full aroma and flavour. Given below are certain tips for using this spice. Jeera rice is a common dish in India which is prepared by roasting cumin seeds in butter, frying rice in it and cooking it with water. It is a tasty combination that can be used to flavour vegetables, chicken and fish dishes. Cumin seeds can also be added to brown rice along with dried apricots and almonds. Chilli-cumin bean salad is a healthy meal that requires minimal preparation. You can prepare this salad by mixing some pinto beans, black beans, drained hominy, chopped onions and tomatoes, and fresh cilantro in a salad bowl. Combine lime juice, canola oil, onions, ground cumin, chilli powder, salt and pepper in a jar. Seal this jar and shake it well. Toss your salad with this cumin mixture and refrigerate it for two hours before serving. Dal is regarded as a staple diet of Indian cuisine. Whole cumin seeds are used for tempering (providing tadka) dal, thus imparting a warm flavour. It is also used to temper meat dishes, particularly North Indian tandoori dishes. Healthy sautéed vegetables can be seasoned with cumin. For instance, beet can be easily prepared with cumin. All you need to do is heat a saucepan over medium heat and add canola oil, chopped onion and minced garlic. These should be sautéed until they are slightly cooked. Now add some cumin powder and sauté for two minutes. Add some flour and stir for a minute. After this, add water, salt, chopped tomatoes, and peeled and quartered beet slices. Simmer the mixture for at least half an hour until the beets are cooked and tender. Besides dal and vegetables, cumin can be used in preparing chicken. For this purpose, grease a large skillet with butter and cook chicken leg quarters in it until they turn brown. Place the chicken pieces on a greased baking dish. Saute the mushroom pieces, chopped apples and sliced onions until the apple pieces become crisp. Add some flour, condensed cream of mushroom, ground cumin, Worcestershire sauce, salt and pepper to this mixture and pour it over the chicken pieces. Covering the baking dish, bake it for an hour at a temperature of 350 degrees. Sprinkle some chilli powder on the cooked chicken and serve with rice. Cumin seeds are used in preparing Bengali spice mixture known as “panch phoron”. It is basically a combination of nigella seeds, black mustard seeds, fenugreek seeds, fennel seeds and cumin. This spice mix is used in several dishes such as potato curry, pan roasted potatoes and salmon. A warming and soothing cumin tea can be prepared by boiling cumin seeds in water and allowing it to steep for 8 to 10 minutes. Roasted cumin seeds along with ground black pepper are used in flavouring rasams. They are toasted with coriander to provide a distinct aroma and are widely used in South Indian and Sri Lankan cuisines. Cumin seeds are used in the preparation of soups, barbecue sauces, pickling and is one of the ingredients in curry powder. Black cumin seeds are used as a spice in Persian and Mughlai cuisine. We will discuss the nutritional benefits of jeera in a quantity of a table spoon which weighs close to 6 grams. It contains 22 calories, 1 gram of fat, which contributes about 11 calories. It is a zero cholesterol herb that can be consumed in good proportions without worrying about cholesterol content. Carbohydrates are about 3 grams and proteins 1 gram in this quantity of cumin. The low saturated fat and sodium contents are low in this spice and it is also a good source of thiamine, phosphorous, thiamine, fiber and copper. This amount of cumin contains 2% DV of Vitamin A, 1% DV of Vitamin C, 6% of calcium and 22% of iron. These daily values are based on a daily 2000 calorie intake of a human body. It is mildly inflammatory and is a good source of proteins and fibers. Experience all these jeera benefits and let us know if you already have them in your diet and list of topical treatments.